Scientists at the European Organization for Nuclear Research have found a way to probe antimatter for the first time by developing a laser that allows them to measure the light let off by these anti-atoms. The objective is to compare the light of the antiatoms with the light of regular atoms to determine the behavior of antimatter. This is an incredible technological and scientific achievement. Antimatter is pretty much the opposite of regular matter, and whenever antimatter comes into contact with regular matter, they disappear immediately. Therefore, it has been very difficult to study antimatter over the decades. “These images show anti-hydrogen atoms annihilating as they come into contact with the walls of the ALPHA experiment, which are made of ordinary matter,” said CERN. Image credit: CERN. For decades, scientists have been intrigued by the mysteries of antimatter and how its behavior could be compared to that of regular matter. As well, they have wondered why if the Big Bang produced the same amount of regular matter and antimatter, today the universe is practically composed of matter. These are questions that science cannot yet explain. As Professor Hangst explains, they want to know if matter and antimatter are ruled by the same physic laws, which is required by the Standard Model of physics. One of the problems is that antimatter is truly difficult to produce, to capture and it is even harder to hold on to, given the fact that it gets annihilated when it enters into contact with ordinary matter. For example, if it touches the walls of its container, then it is gone. At a subatomic level, antimatter is opposite to matter. For example, the electrons of the antimatter have a positive charge instead of a negative one. As Professor Hangst said, this is a major point in history. The first time he heard about antimatter was because of the Star Trek movies when he was just a kid, and ever since he has been intrigued about what it is. Therefore, he founded ALPHA, a research group at CERN, which is the premier particle physics laboratory, in Europe. CERN is located near Geneva, and it is devoted to the studies of antimatter. 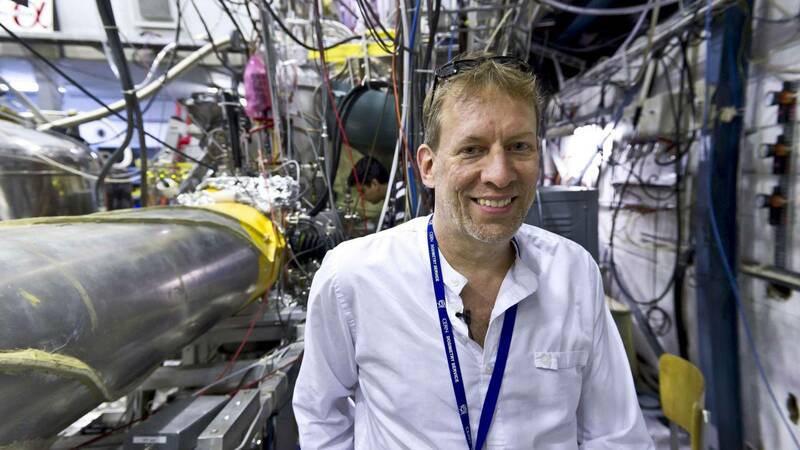 Professor Hangst and his colleagues have achieved after many many years a way to create the antimatter version of simple hydrogen atoms or anti-hydrogen. They trapped and held these antiatoms in a vacuum using strong magnetic fields. The scientific team said they used a special laser to probe the antimatter and they found out that their anti-hydrogen atoms react to the laser just as the regular hydrogen atoms do. Therefore they have made it possible for the first time to measure how antihydrogen atoms respond to a laser light. Researchers used hydrogen to make the experiment since it is the most basic atom, and one of the most studied over the last 200 years. Everything that needs to be known about the hydrogen has already been discovered. What comes next regarding antimatter? The scientist team also said that they would keep analyzing antimatter to know why it has disappeared since the creation of the universe. They currently enjoy their success; however, they want to compare the antimatter system to the matter system, making a set of laws for the antimatter. As well, they expect to improve the precision of their measurements and experiment in the future. Moreover, they explain that a slight different in properties between hydrogen and antihydrogen could break the principles of physics. Professor Jeffery Hangsts. Image credit: CERN. “What really matters here and for the future is how precisely you do that measurement. Right now, we have a precision of a few parts in 10 billion. We hope to get much, much better than that – the precision with hydrogen is a few parts in a thousand trillion,” said professor Hangst. The team is ambitious to probe antimatter in other ways. They are currently building a new machine that is intended to study gravity. They want to know that happens if you drop some antimatter in it. This machine is called the Alpha-G and it should be ready by the end of 2017. The measurements using this machine are set to be done in early 2018.